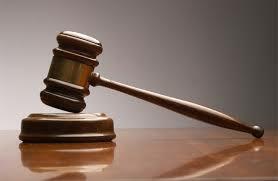 A GWERU magistrate has ordered an abusive father to surrender the custody of his three-year-old son to the boy’s aunt. Appearing before Gweru magistrate, Ms Judith Taruvinga, charged with one count of assault and child abuse was Wisdom Nechitoro (33) of Mtapa suburb in Gweru. Nechitoro who pleaded not guilty was however convicted due to overwhelming evidence. Ms Taruvinga gave Nechitoro a suspended three- year sentence and said the minor should now start staying with his aunt. She said the minor would be raised by his relatives under the supervision of a probation officer. “I hear that the child at one point resided at Rutendo Children’s home which shows you cannot take care of the child. I have postponed passing of sentence for three years on condition that you don’t commit a similar crime. Furthermore, from today onwards, the minor is going to be raised by his aunt under the supervision of a probation officer for a period of two years,” she said. In his defence, Nechitoro said he was a single parent and was having difficulties raising his son. “Because of the nature of my work I’m always away and I can’t look after my son. I’m not married and on a daily basis I travel as far as Mvuma and Shurugwi hence I come back late,” he said. Prosecuting, Ms Chipo Ncube said on May 30 this year, the accused person’s landlady noticed that the minor had a swollen forehead and eye as well as bruises on his back. “She went on to question him and he revealed that he had been assaulted by his father using fists and an electrical cable. The minor told the landlady that he had been assaulted on different occasions, and sometimes with a belt by his father,” said Ms Ncube.